This ticket is sold by Lovedale Long Lunch Pty Ltd (ABN 78 138 781 914) who is responsible for the Event. The following conditions are both for sale (including any resale or subsequent assignment), entry and attendance at the Event. 'You' and 'your' refers to the customer. 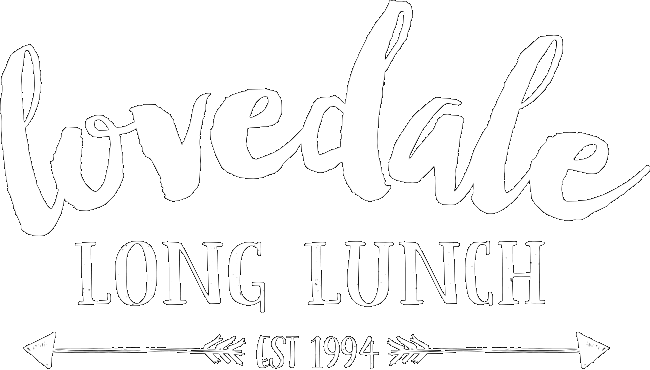 'We', 'us', 'our', 'Lovedale Long Lunch’ and 'Event organiser' refers to Lovedale Long Lunch Pty Ltd its participating wineries, contractors, volunteers and authorised persons. This agreement means these terms and conditions and any other conditions specified by us on our website and booking forms. All bookings and ticket purchases are non-transferable and may not be sold or transferred by you. (Conditions Apply). Tickets include entry on Saturday 18th May and/or Sunday 19th May 2019. Weekend Package ticket holders must bring their LLL wristband and polycarbonate glass and will be re-issued with a new wristband for re-entry on Sunday. Tickets are valid for the 2019 Event only. Wristbands must be collected from the first stop of the day. If you select the Print at Home E-Ticket delivery option for your Lovedale Long Lunch ticket(s) you will be able to update the name on your Print at Home E-Ticket(s) after the initial registration. Each meal ticket entitles the holder to one plate of gourmet cuisine as listed on this website. The Lovedale Long Lunch meal tickets may be used at any participating winery however there is no guarantee of the availability of any particular dish. If any particular dish is not available on the day the cost of the ticket may be refunded if no alternative is available. Each dessert/cheese ticket entitles the holder to one plate of dessert or cheese listed on the website. The Lovedale Long Lunch dessert tickets may be used at any participating winery but there is no guarantee of the availability of any particular dish. If any particular dish is not available on the day the cost of the ticket may be refunded if no alternative is available. Extra transferable meal and dessert/cheese tickets are available for purchase from each of the participating wineries. The sale of wine is permitted for consumption in the defined licensed area for each winery from 10am until 4pm only. Each bar service is currently a maximum of one (1) bottle of wine or four (4) glasses of wine per person. All in-house bottle sales will cease at 3pm. All in-house glass sales will cease at 4pm. (The sales of wine and quantity may change as a result of licensing requirements from the Office of Liquor Gaming and Racing). The sale of take away sale liquor is available at each exit point of individual participating winery until 5pm. Persons purchasing take-away liquor will not be permitted to take the liquor into the licensed area or any other participating winery licensed venue area. We reserve the right at any time, to make changes to the venue(s) of the Event. In the event of a change to a venue, the details will be published on the Lovedale Long Lunch website. The right of admission is reserved and is subject to the Event organiser and each venue's terms of admission, copies of which are available online and from Lovedale Long Lunch on request. Wristbands will be securely attached at the entry gate and must be worn at all times for the duration of the Event. A separate colour wristband will be supplied for persons under the age of 18 years. The colour of the wristbands will also change for each day of the Event. If entering the Event as an adult, ID to prove legal age must be shown at the Lovedale Long Lunch venue entrances, on request. Admission is at the ticket holders own risk. 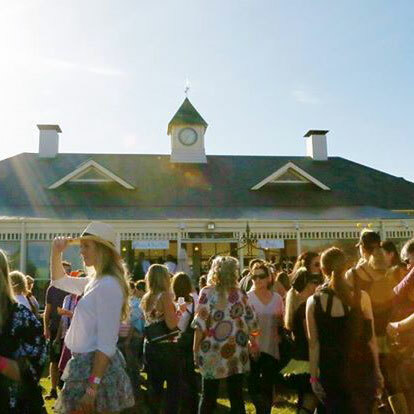 You acknowledge that neither the Organiser, nor any of the Lovedale Long Lunch venues or restaurants will be responsible for any loss or damage to property (including personal property such as bags, money or other personal items) brought to or purchased at the Event by you or your invitees. No glass shall be brought into any part of the venues including the car parks. Please do not bring glass into the Event, broken glass and the Lovedale Long Lunch do not mix, consider your fellow humans feet. 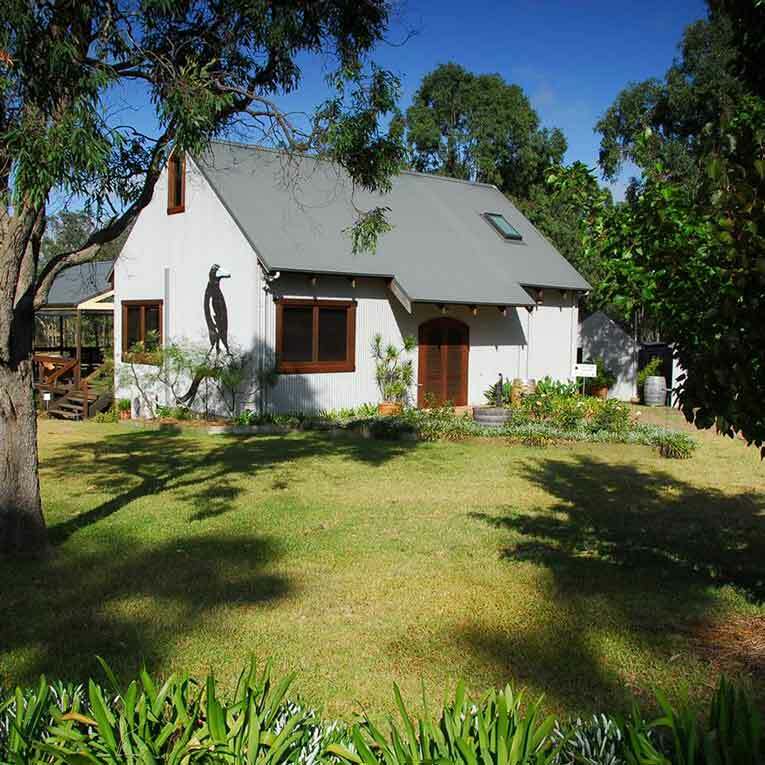 THE LOVEDALE LONG LUNCH EVENT VENUE AREAS ARE LICENSED. Any patron wishing to consume alcohol must have photographic ID, which must be provided on request. We reserve the right to evict patrons who disobey or break Responsible Service of alcohol legislation and the law. The Lovedale Long Lunch polycarbonate glasses are only available as part of the meal package and may be individually sold or replaced at the discretion of each winery venue. Lovedale Long Lunch Pty Ltd cares for the environment and community. Please be respectful and place any litter in the recycle or other bins provided around the venue. Be waste and water wise - thank you. 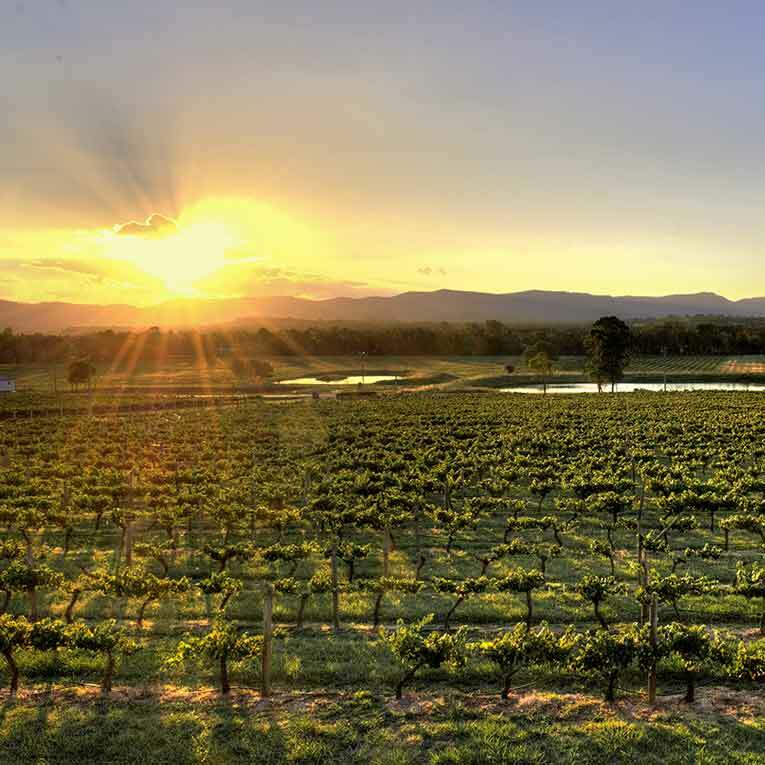 Lovedale Long Lunch 2019 “Time to Pay” Terms and Conditions. By selecting the “Time to Pay” option, you hereby authorise Lovedale Long Lunch to charge your nominated credit card in accordance with the payment schedule, as detailed, until full payment has been received for your tickets. Upon selecting the “Time to Pay” option, you will be charged your first installment as specified by Lovedale Long Lunch at the time of booking and additional installments will be charged, 30 days later, as specified in the payment schedule below. “Time to Pay” commitments will not be frozen, cancelled or deferred, nor will you be entitled to a refund or exchange during the “Time to Pay” process, unless in accordance with Lovedale Long Lunch’s general terms and conditions for cancelled events or to the extent required under applicable trade practices and consumer protection laws. In the event an installment is not received by Lovedale Long Lunch when Lovedale Long Lunch attempts to process an installment payment through your credit card in accordance with the payment schedule, Lovedale Long Lunch will notify you via email and provide you the facility to catch up on a scheduled payment. Any fees levied to you by your financial institution will be payable by you. In the event that a scheduled payment is not received or remedied within the time subscribed, you will be in breach of this agreement and Lovedale Long Lunch will cancel your booking keep all monies received from you. Lovedale Long Lunch will then email you notifying you that your booking has been cancelled. No tickets will be made available to you until full payment has been received. Lovedale Long Lunch will send you an email once full payment has been made which includes a link for you to download your tickets via your secure online member’s area. Otherwise, you can select to have your tickets posted; in which case they will be despatched after final payment is received. NOTE: as well as the Terms and Conditions above, Lovedale Long Lunch general terms and conditions, which deal with refunds, cancelled or postponed events, conduct at events and other important matters, apply. Corks and Caps Guessing Competition. To win the 2 x Weekend Packages, participants must correctly identify the number of corks and caps held within the jar and complete the guessing register with name, email address and phone number. These details will be entered in the Lovedale Long Lunch Pty Ltd database and by entering participants give permission to Lovedale Long Lunch Pty Ltd to be contacted with newsletters and promotional emails. Entry for the Corks and Caps competition is only available at events attended by Lovedale Long Lunch Pty Ltd and winners will be notified on the conclusion of the event via email. Entry is only open to participants who are over the age of 18 years old. 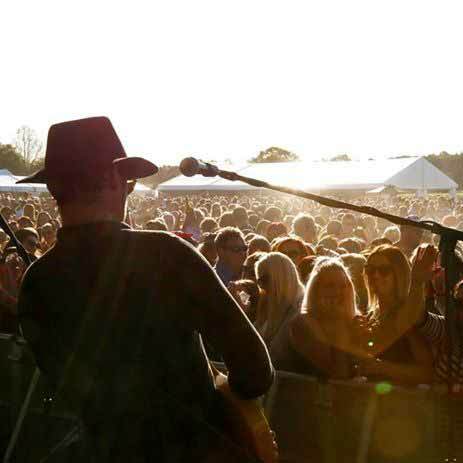 Purchase a Saturday, Sunday or Weekend ticket to 2019 Lovedale Long Lunch and receive one (1) entry into the prize draw. Valid for online sales only. Entrants must be eighteen (18) years or older and be able to provide proof of age. Promotion only valid within Australia. Not valid in conjunction with any other discount or offer. Prizes are not redeemable for cash. Promotion is being run by Lovedale Long Lunch Pty Ltd (ABN: 78 138 781 914), located at 132 Lovedale Road, Rothbury NSW 2320. www.lovedalelonglunch.com.au. Opens Monday 25th March 2019 at 6am and closes on Monday 22nd April 2019 at 3pm. The draw will be witnessed by three (3) Lovedale Long Lunch representatives and will take place on Tuesday 23rd April 2019 at 12 midday, 12 Wilderness Road, Rothbury NSW 2320, via barrel draw and There will be least 3 representatives of LLL present to make sure its not seen as rigged (on the off chance the auditors show up at 3pm while we are drawing the prize). There will be nine (9) winners who will be notified by email, phone and details published on our social media pages on Wednesday 24th April by 4pm. All entrant details will be stored and used for marketing purposes. At any time after the promotion duration, entrants can opt-out of marketing by unsubscribing. 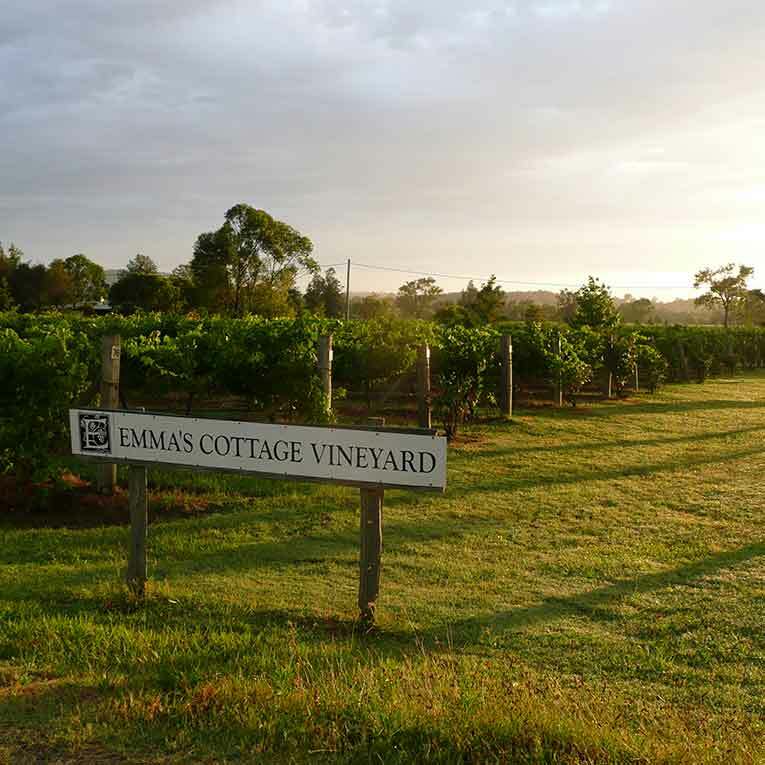 Prizes may be sent electronically, collected at Cellar Door or include be delivered within NSW. If winners reside outside of NSW, delivery fees may apply. 6 x 2007 Claremont Brut Chardonnay. Amanda’s on the Edge Dessert & Port Voucher for up to 4 people.